Virginia officials confirm a third Culpeper horse tested positive for the neurologic strain of the equine herpes virus (EHV-1). 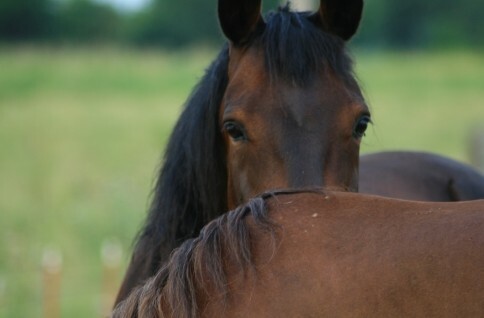 The Virginia Department of Agriculture and Consumer Services (VDACS) reports another horse at the quarantined stable developed a fever August 16. Veterinarians are providing the horse medical care on-site. The state has extended the farm’s quarantine until September 6th. The index horse began exhibiting neurologic signs on August 11 leading to its transport to the Marion duPont Scott Equine Medical Center in Leesburg. Staff isolated the horse and continue its supportive care. VDACS’ Animal Health Lab confirmed a diagnosis of the neurologic strain of EHV. It is also known as equine herpesvirus myeloencephalopathy (EHM). A second horse from the farm developed a fever and neurologic symptoms leading to its euthanasia at the start of the week. The lab confirmed the same diagnosis. Veterinarians recommend vaccinating against EHV-1 to help prevent the virus. No current vaccine prevents the neurological manifestation of the infection. EHV-1 may lie dormant for long periods of time and then re-activate during a horse’s period of stress resulting in clinical disease. The virus is highly contagious and typically has an incubation period of 2 to 10 days. It can cause abortion, respiratory and neurologic disease. Symptoms may include fever, decreased coordination, nasal discharge, urine dribbling, hind limb weakness, and lethargy. Veterinarians recommend biosecurity methods when showing or introducing new horses at your farm. These include limiting horse to horse contact and horse to human to horse contact. The virus spreads readily through direct contact with infected materials.